What Will the “Ripple Effect” Be? 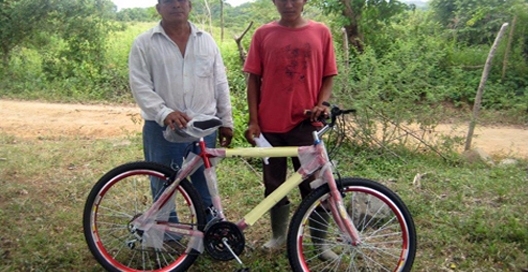 Somos Ohana Nicaragua started giving bikes to secondary students with long walking commutes to their schools in 2009, the year our first high school-building project was put in service, the José Dolores Estrada Institute at Rincón de García. We worked with the head teacher and the parents of bike recipients to encourage a strong commitment to good attendance. Here are some results from that ongoing program. Wilber Javier Betanco from Mayocunda got his bike in 2009 in order to ride to the new high school, and in 2015 he graduated from the National University with a licensure in Law. Holman Arnoldo Cadena got his bike in 2009 and attended the Rincón high school, too, and this year he will graduate with a diploma of Auxiliary Nursing, the equivalent of an LPN degree. Holman’s sister Ingris Waleska Cardena graduated from the high school at Rincón de García in 2015 and has started classes at the UNAN (National Autonomous University of Nicaragua) at Somotillo, majoring in Education with a minor in Language and Literature. Edgar Efrain Aguilar graduated in 2014 and now works as a health educator for the Ministry of Health (MinSa) in his home town area, the Municipality of Villanueva. 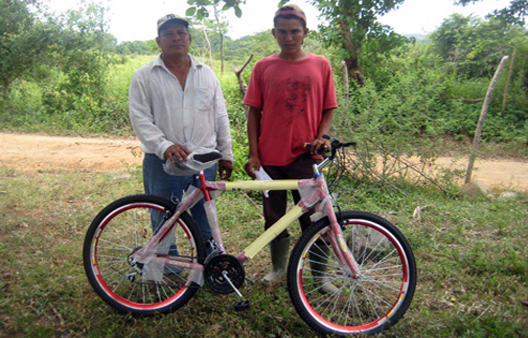 What impact does having transportation to school make? What impact having a school where there was none? What ripples out from the local jobs for teachers? What future good will flow from the hearts and minds of these and other successful students? Maybe we will never know how far out the ripples will go, but we believe in planting the seeds that the youth of Nicaragua will nourish and develop.